We just can’t get enough of belly baskets. They are just perfect for so many things. 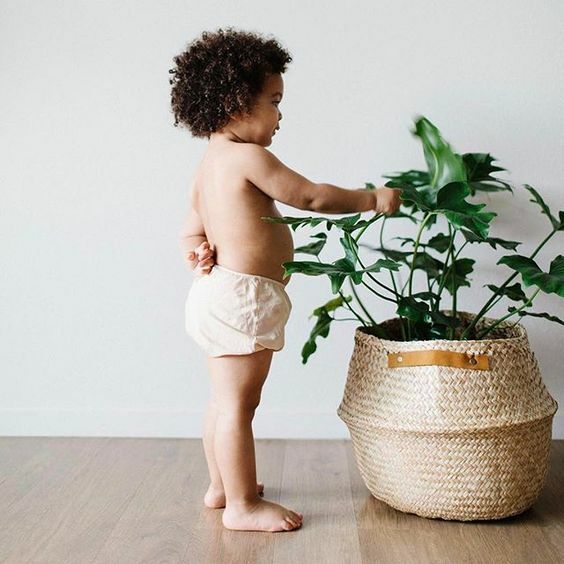 Whether you have some extra toys, blankets or gorgeous greenery, belly baskets are ideal hosts for house plants and keeping little things together. 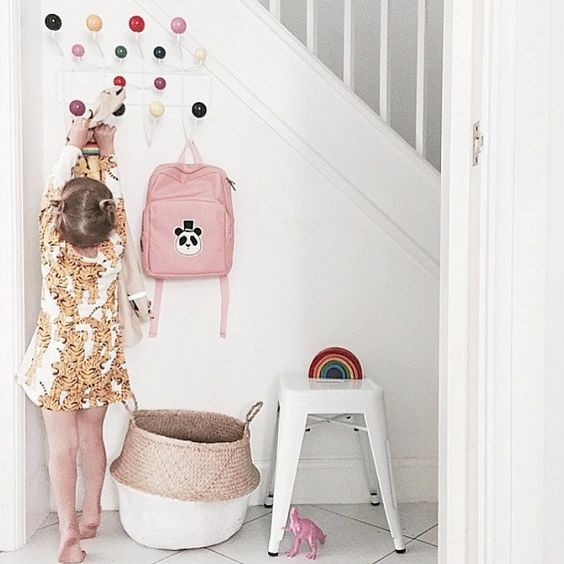 The nice thing about belly baskets is that they suit just about any room in the house, from the lounge to the baby’s room, belly baskets are seriously versatile. 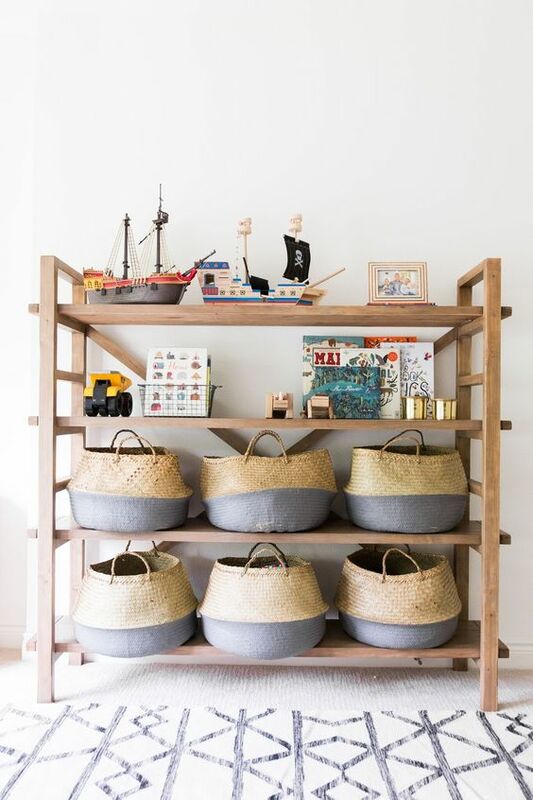 Belly baskets are ethically sourced and handmade in Vietnam and come in different colour dips. Here are a few different ways with belly baskets! Use your belly baskets to store a variety of smaller items which you can neatly store on a shelf. Everybody has the same problem right? There is this psychological dumping of belongings that seems to go on within a few meters of entering the house. Stress no more, belly baskets are the answer! 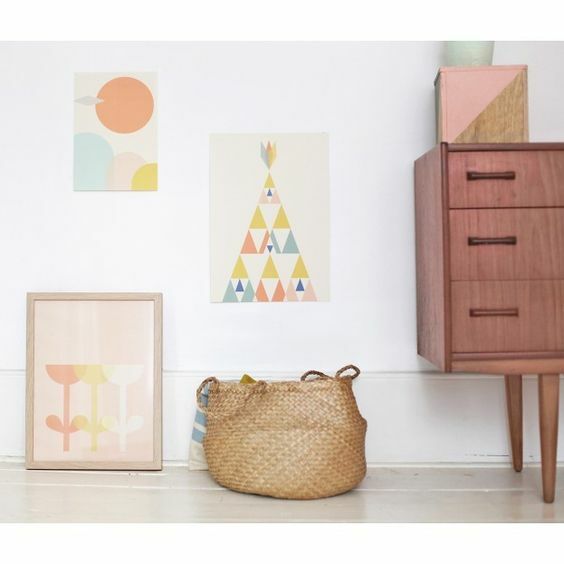 This photo from Perfectly Smitten really portrays an ideal entrance hall scenario which is realistic and beautiful. What can be more serenely beautiful than placing a gorgeous piece of greenery in your belly basket? 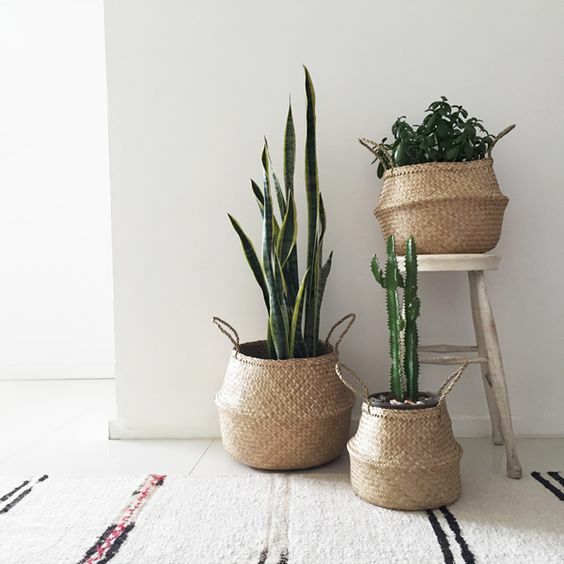 Then again, what could be more beautiful than placing multiple houseplants in an arrangement of belly baskets? 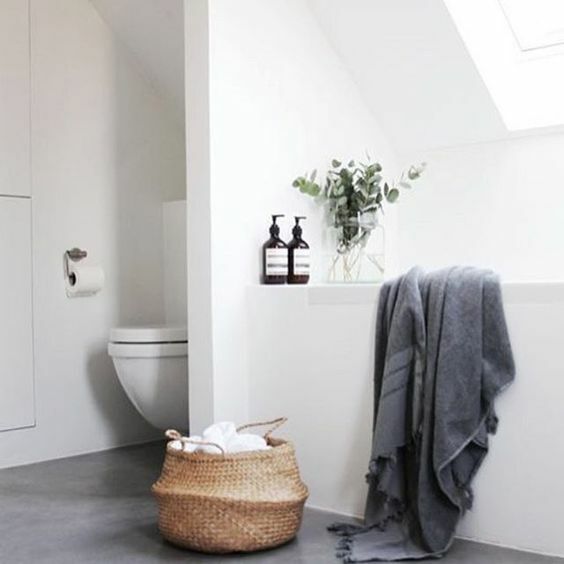 We love the use of upright and bushy combinations of plants in this shot from dosombre.com. Use your belly basket in the nursery to hold loose items such as scatters, soft toys and any loose items you need to take care of. 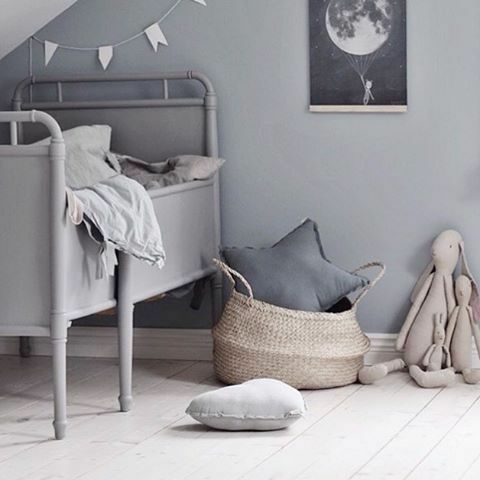 This shot styled by @amonochromist truly compliments the natural and grey tones paired with fresh white floors in this nursery. Every single room in the house can do with a belly basket! 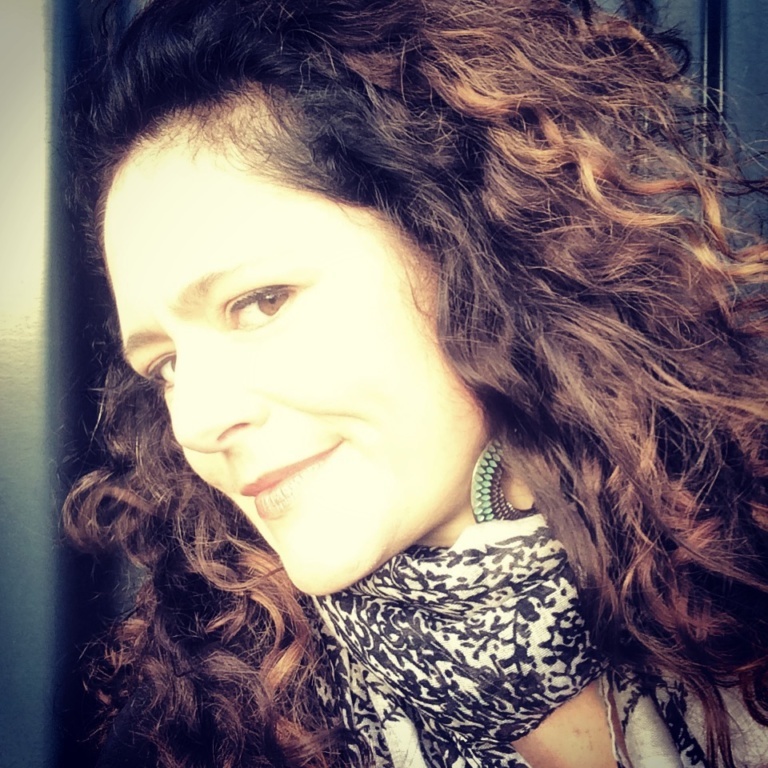 Here, @nordiskehjem shows you how to use them for storing extra towels, toilet paper rolls or even bath toys in the bathroom. Crafting gear can get messy very quickly. Especially when you have cats 🙂 @immyandindishows us how to store your knitting wool or yarns in a trendy way. Belly baskets are rather useful in the nursery to hold extra nappies, blankets and soft toys. Keep them next to your changing table for handy additional storage that looks great! 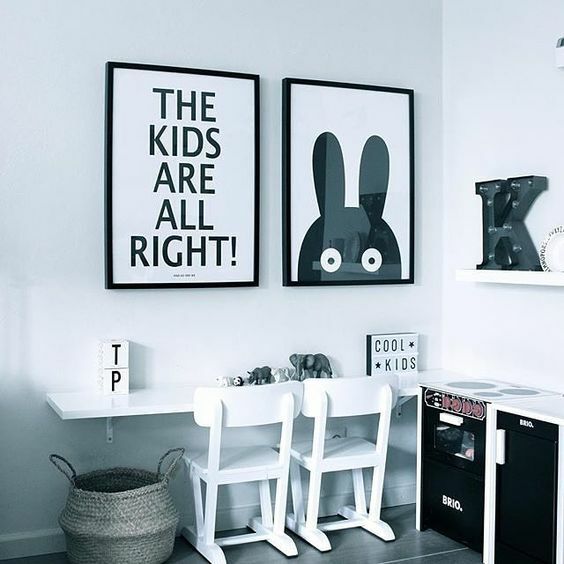 @thijmenpepijn shows us in this gorgeous B&W kids bedroom how to add a belly basket under a desk to serve as a bin or hold-all for desk and craft accessories. Pairing more than one belly basket works wonders in setting a matching colour scheme in a room. Here thismodernlife.co.uk shows us how its done. 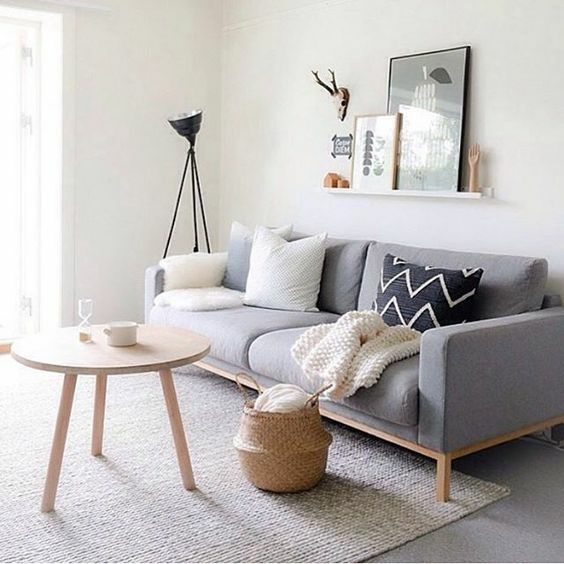 We just love the contrast between the black and natural in this space, whilst bringing in soft pastel tones. Tell us how you used your belly baskets in the comments below. 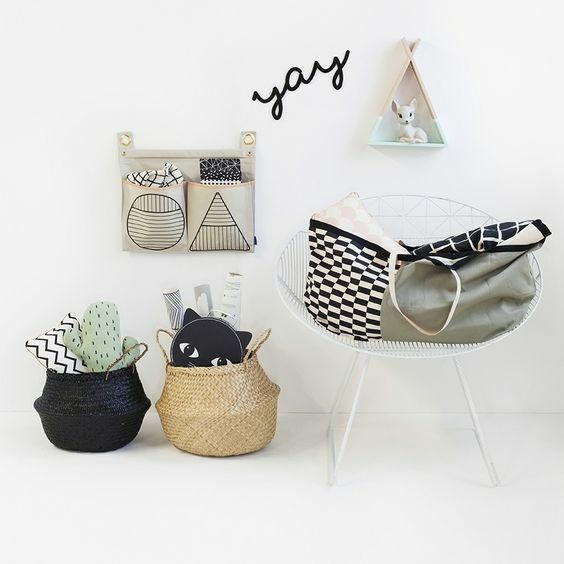 Clever Little Monkey has a lovely selection of belly baskets in various colour dips.